How much space to you get for $1500 in Toronto. 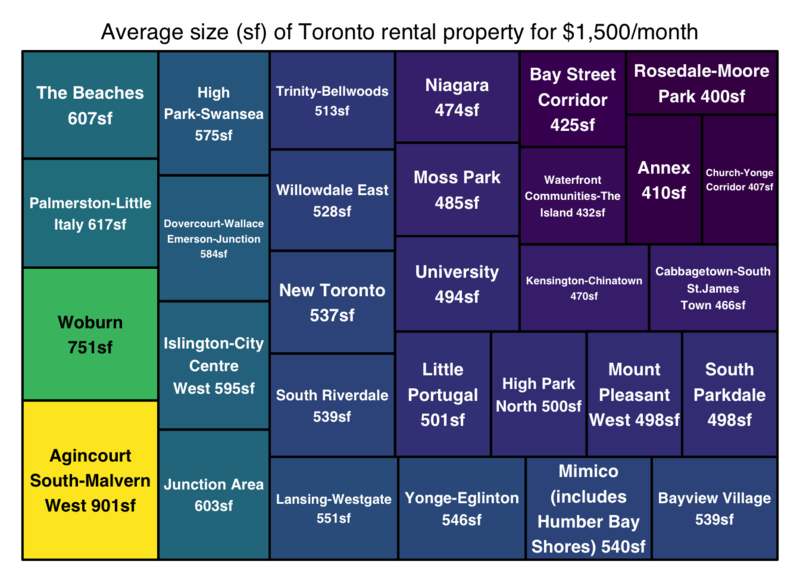 Earlier today I came across Gil Meslin’s tweet suggesting to reproduce this rent graph for neighbourhoods in Toronto. I agree that this would be fun to do. All it requires is mixing the Toronto neighbourhoods with renal listings data, which I happen to have handy. So time to get working. Neighbourhoods To do this we need to grab the Toronto neighbourhoods which can be found on Toronto’s open data website.